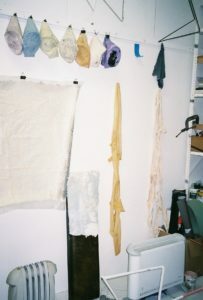 Travelling through Andrea’s sanctuary space. 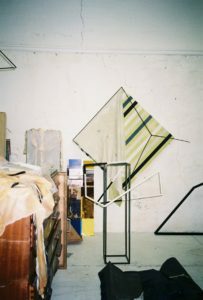 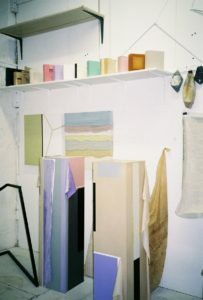 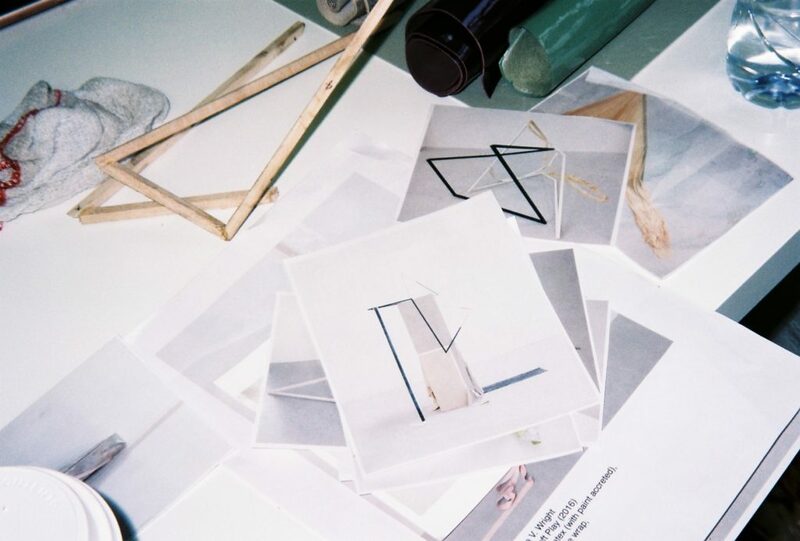 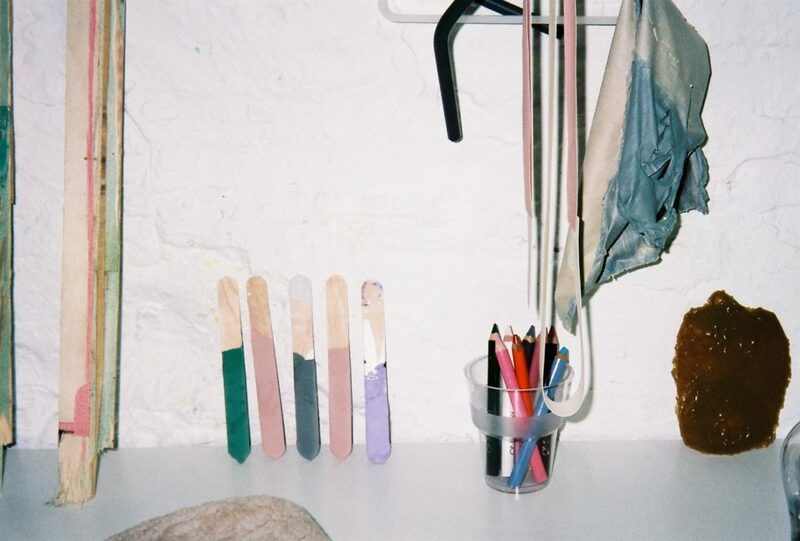 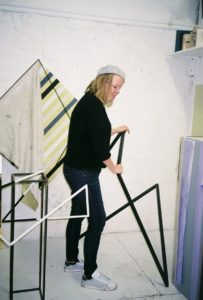 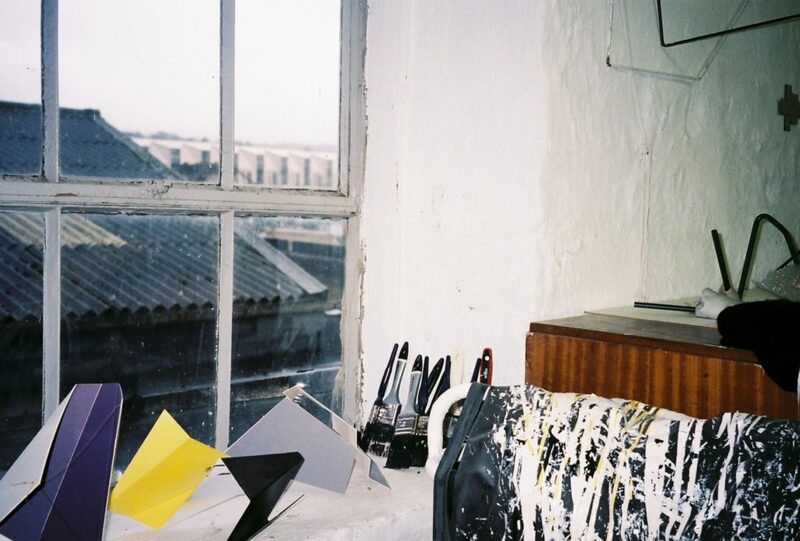 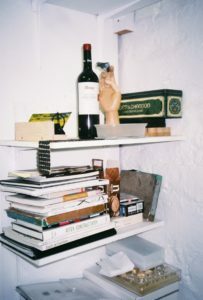 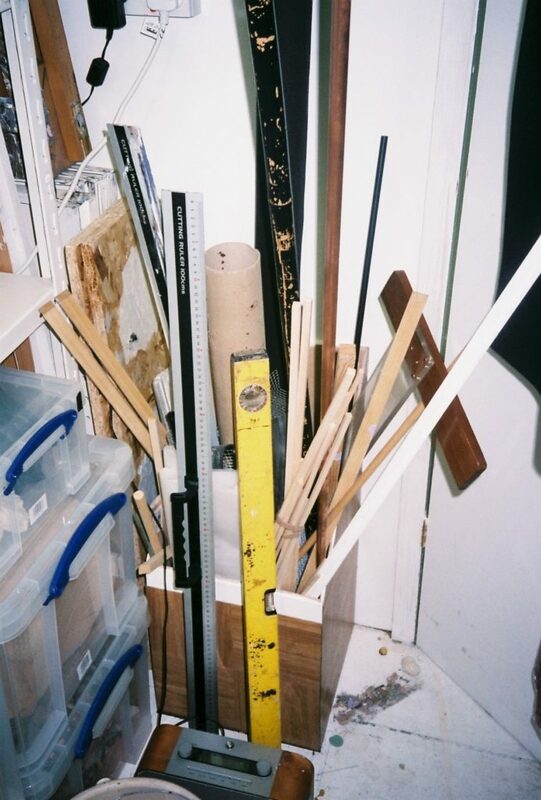 At the very top of a shared studio building in Bath, Andrea V Wright’s studio is lined with pastel tone dip-painted wooden tongue depressors, remains of used latex hung onto the wall, folded paper models, an assortment of found objects, and shelves of books crammed including “Radical Fashion” and “After Constructivism” amongst others. 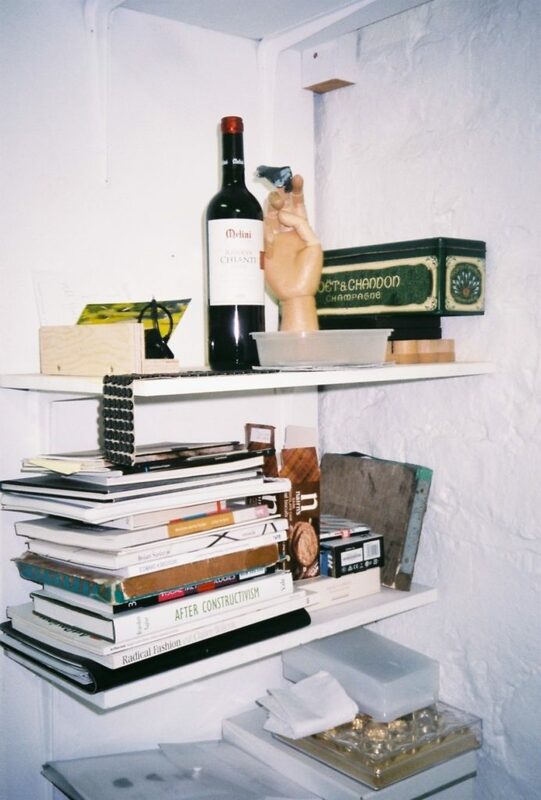 “I try to zone it to tailor it to various activities but usually it ends up in a right mess. 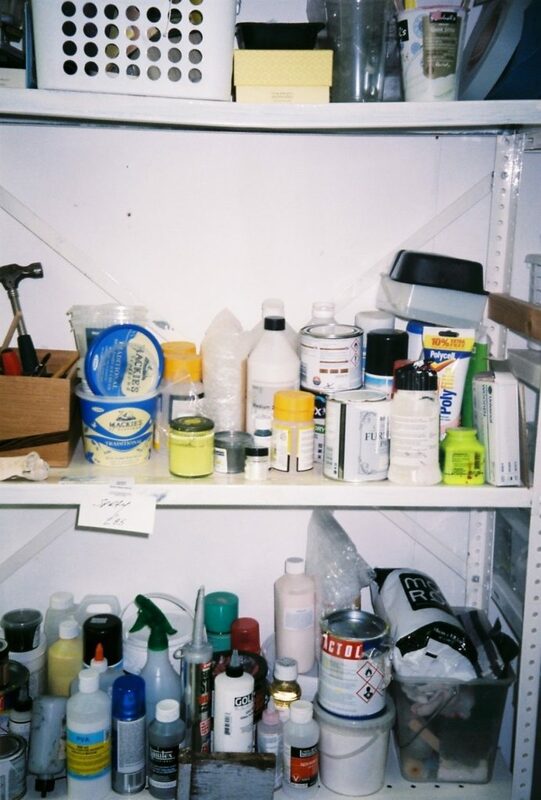 I have boxes with various materials in them and I fantasise about having a much larger workshop studio space where I can weld. My studio space works as a place for making maquettes, models, drawing, and working things out. It is essential to me.” We talk to Andrea V Wright, one of the selected artists behind this year’s Bursary Prize at the Royal Society of Sculptors, about complex angles, photography, memory and attachment.